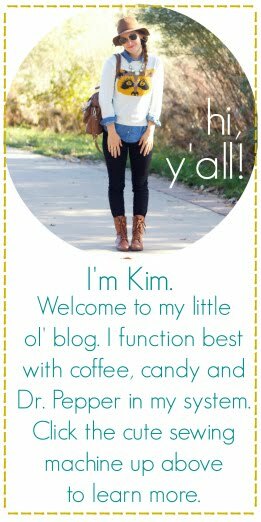 One thing I love about the area we live in is how handmade and "small batch" businesses are celebrated. Handmade markets abound and small businesses often succeed - it's a beautiful thing. At the past few Firefly markets, I bee line straight to the Tuffy Kickshaw booth. 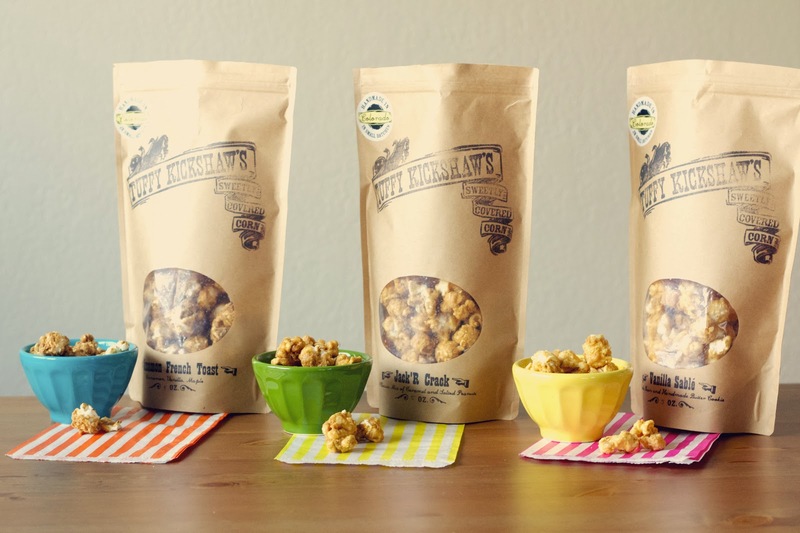 I love to sample her newest flavors and grab a bag or two to bring home with us. Said bags never last long…we devour their savory goodness no matter how hard we try to slow it down. I'll back up a bit -Tuffy Kickshaw is a local Colorado business that makes delectable caramel corn. This ain't no box of crunch n' munch, y'all. 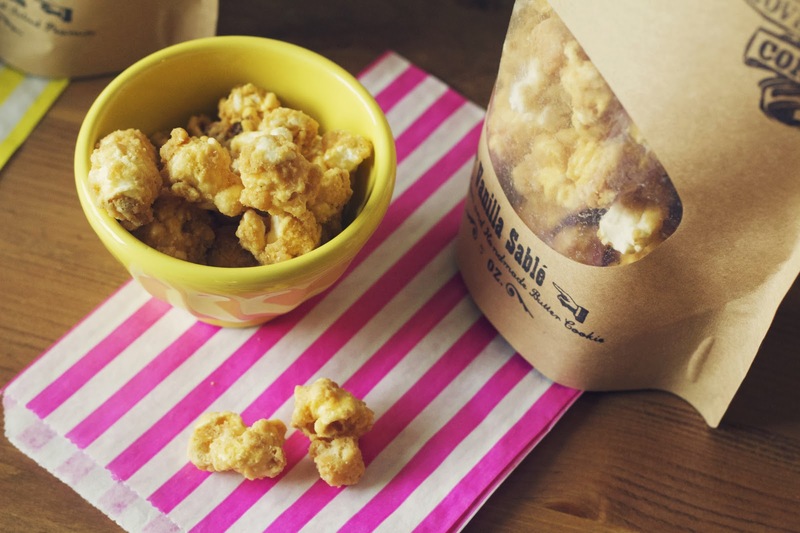 It's the most delicious popcorn you will ever put in your mouth. It is both, gourmet and comfort food. Julie is a dear and the flavor combinations she comes up with are out.of.this.world. 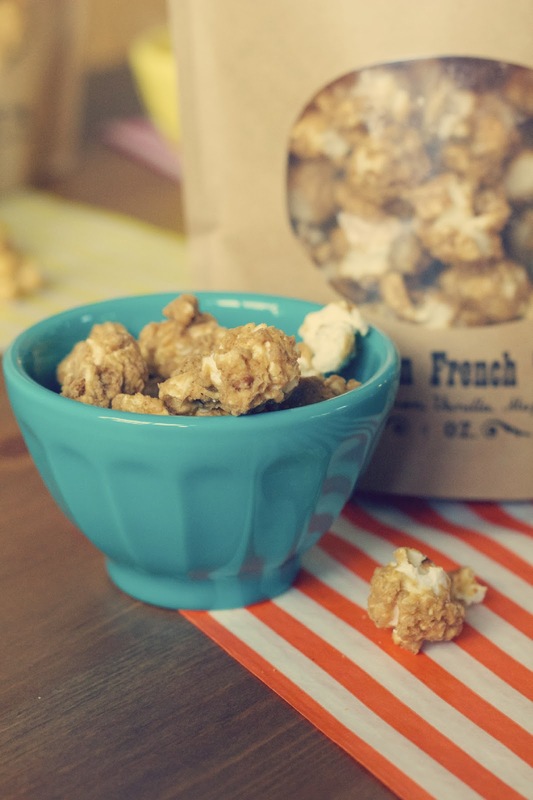 She uses the best of ingredients, non GMO popcorn, and offers seasonal flavors. If I didn't know any better, I'd think her popcorn flavors were laced with some sort of addictive drug ((it's been said many times in our household that, "there HAS to be crack in here.")). We don't do drugs, we just eat copious amounts of popcorn. I recently tried Cinnamon French Toast, Vanilla Sable, and Jack 'R Crack - they were all delicious, but my favorite is the Whiskey & Brown Butter. Always and forever. What are you waiting for? 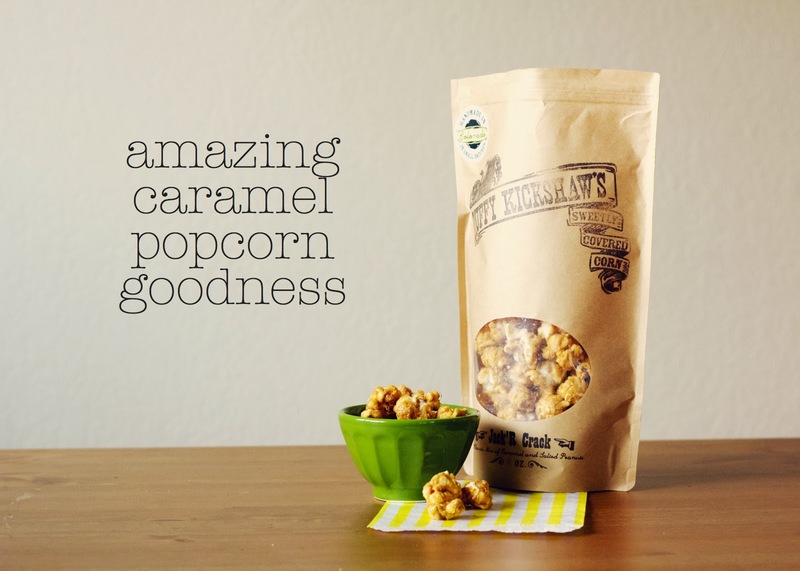 Please go order some of this goodness and/or sign up for their Popcorn of the Month club! Your tastebuds will thank you. I am a huge fan of local and this sounds amazing! HAHA! I LOVE the disclaimer: "we don't do drugs"...remove all doubt! Where I live totally stinks at having anything good like that. No surprise since I'm in icky CA! well, good thing tufty kickshaw ships!